4 bid guaranteed COE without top-ups, Cat A rebate at $34K, Cat B rebate at $34K. There are no user reviews for this car. Be the first. 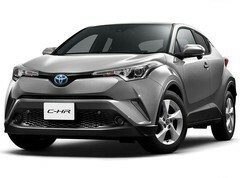 Select variants to compare with the Toyota C-HR Hybrid 1.8 G (A). * Monthly Payment is based on 50% loan over 7 years at 2.78% annual interest rate.